In 1946, the community of Léger's Corner becomes the village of Dieppe. The name Dieppe is adopted to honour the sacrifice of Canadian soldiers who took part in the raid on the French port of Dieppe on August 19, 1942. In 1952, the village becomes the Town of Dieppe. Yet, more than 35 years after choosing the name Dieppe, the town has no monument to recognize the sacrifices of her sons who served their country with honour and valour during World War II. But, all that is about to change in 1979 with an idea put forward by Mayor Clarence Cormier. He feels that Dieppe should have a cenotaph like the one in the nearby community Lewisville. Moreover, many veterans from Dieppe who had been going to Branch No. 6 of the Royal Canadian Legion in Moncton express a desire to regroup in their home town. Two veterans, Ben Gallant and Eustache 'Maggie' Babin, then town councillors, invite other veterans to talk about the building of a Cenotaph and the creation of a local association. Advertisements are published in the church parish bulletins at Ste-Thérèse, St-Anselme and Lakeburn urging veterans to attend a meeting at the White Hall located near Ste-Thérèse Church in Dieppe on September 23, 1979. This first meeting serves as a Call to Arms for the creation of a local association for all service veterans from the Dieppe area. The turnout is small, only ten veterans show up, but it is a beginning. The framework for the association is laid out and Ben Gallant is elected president and Marcel Cormier, secretary. 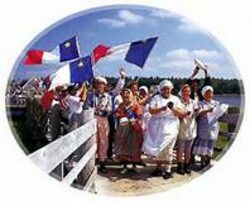 The other founding members are Sylvère Arsenault, Alyre Hébert, John Malenfant, John Arsenault, Eustache 'Maggie' Babin, Lorenzo Caissie, Normand Cormier, Albénie Bernard and Owen Lockyer. It is proposed that a meeting be organized with Branch No. 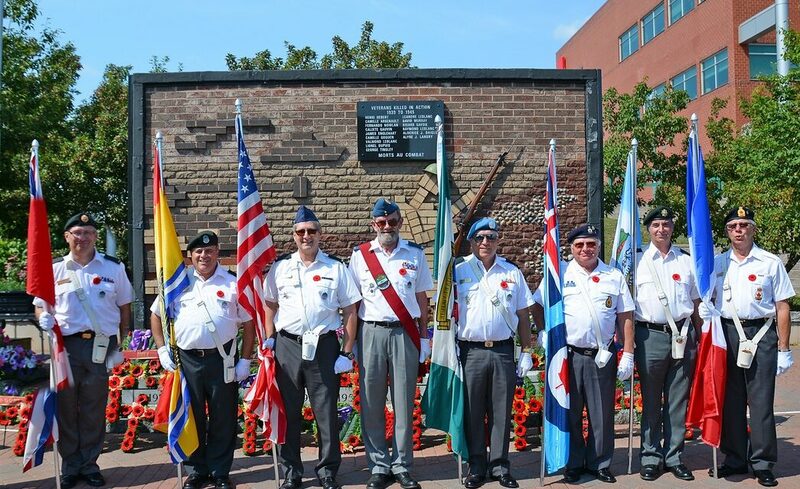 6 of the Royal Canadian Legion in Moncton, the Royal Aviation Club of Canada, the War Veterans' Association of Canada and the Minister for Veterans Affairs in order to solicit funding for the construction of a Cenotaph in memory of service comrades who fell overseas during both world wars and the Korean War. To start the fund raising, every veteran present contributes $ 1.00. It is a modest beginning but a strategy for the next meeting is laid out. Those present promise to recruit new members for that meeting. Exactly one month later, 20 veterans attend a second meeting in the community hall. All agree to pursue the formation of a local veterans' association but they realize that their numbers are not yet sufficient for incorporation. With this in mind, Louis Belliveau and Tom LeBlanc are mandated to coordinate further recruitment in St-Anselme and Lorenzo Caissie and John Arsenault are to cover the Lakeburn and Champlain Street areas. An amount of $ 6.00 is raised to pay for advertisements in the Times and Transcript and L'Évangéline. 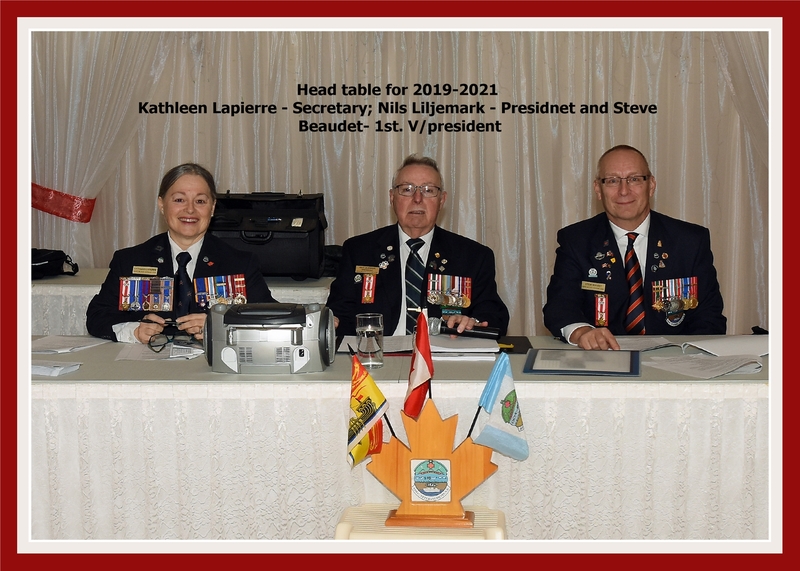 Although there are few funds to work with, the members approve the spending of $ 16.00 for the secretary's record book and a further $ 14.00 for a wreath to be placed on the future Cenotaph. The City of Dieppe distributes its municipal magazine - DieppeMAG - to Dieppe residents and businesses four times per year. The publication's goal is to inform Dieppe residents of how our city operates, including information on local activities and major projects. DieppeMAG includes information on municipal affairs,cultural life, community vitality, the Dieppe Market, Dieppe Public Library, Dieppe Aquatic and Sports Centre and Expansion Dieppe.